You’ve packed up house and home, assembled your friends and maybe even rented a moving van. But are you ready for moving day? In the rush of packing up rooms, it can be easy to forget the chaos caused by the big day itself. Want to save your floors and carpets, stairs and walls, even your shoes and feet? Here’s what you’ll need to help keep things safe and clean on moving day. Saving your floors (and your back) while moving TVs, couches and more is easily done with the right equipment. Some dollies have belts that wrap around appliances to keep them secure. Hand trucks come with adjustable heights to help create leverage against longer or lopsided furniture. Carts are great for moving because they offer a wide, flat and stable surface to place your possessions on. It’s important to use at least one of these on moving day. They’ll stave off injury and protect nearly every at-risk household surface from drag marks, scrapes and major dents. Boot prints, scuff marks and scratches are a real risk while carrying boxes and moving furniture around. Dirt, mud and oil can stain carpets and damage expensive hardwood. That’s where shoe covers come in. Available in standard or waterproof coating, shoe covers will protect any surface they come into contact with. Fitting snuggly over most shoes and boots, they have rubberized tread on the bottom to maximize traction while minimizing marks and marring. A convenient dispensing box means you can grab a pair, slip them on, and get down to work. Tire treads can make a mess of your floors. Protect them with rug and floor runners. At home on solid wood, laminate, vinyl and even already-carpeted areas, rug runners provide traction and protection wherever they are. Available in varying lengths and widths, they can be unrolled down long hallways, oddly-shaped rooms and even down stairs. Runners are easy to use, self-adhering products that can be placed on any flooring surface. They’ll attract the dirt, dust and other debris that can be trapped in the treads of shoes and wheels while moving items in and out. 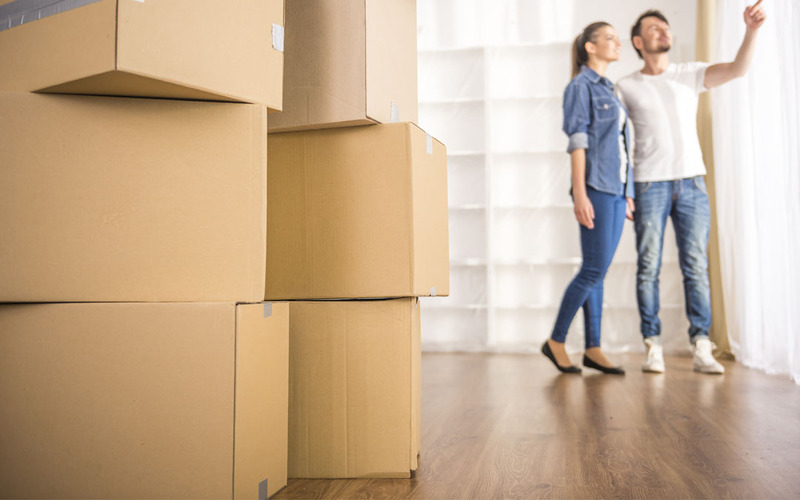 The right moving supplies are key to saving your floors and helping your home look like the chaos of moving day never happened. And when you’re looking for any packaging materials you need—like paperboard sheets, shipping tubes, bubble wrap packaging and more—The Packaging Company is ready and waiting for you.